Seizing Guns. We did. We do. Seizing guns. We use to do it. Do police seize guns? Yes. How long have they? Long time. But there indeed does some to be a common consensus in Texas and the USA for more serious background checks. AND…some support for snatching up the guns of crazy people as the police come upon them. Yes, another request from various police authorities is for more “fast-gun-snatching” from on the scene, touchy situations and from odd, crazy people. This plucks at the “due process” heartstrings of American law. But I am here to tell you, there was, once upon a time, an era when we police snatched up guns without things like a molasses, judicial exam. We use to seize some guns in the old days. No warrants. No judges. No hearings. No process. Just us on the street. By God, we just took em! This was years before the “dead fingers” lingo and logos of today. Years before the contentious liberal vs NRA battles. Just took em.’ So, here’s a piece of police history on that I was a witness to and part of. “Huh, what? How do I get them back?” they would ask. Usually it was just one gun. Or two? If we did this on a Friday night, the guy, or gal, but usually a guy, would have to wait until at least Monday to see the Chief. We would unload the guns, lock the guns up in the corner of the police chief’s office with a copy of the incident report taped to the barrel. Then, the next “bidness” day, an appointment was made. The Chief would sit for awhile with the person and talk to them, lecture them, and then almost always give them the guns back. Rarely, he would wait a few extra days if he thought more cooling was in order. Can you imagine the Dallas police chief doing such a thing these days? Atlanta? BALTIMORE? If there wasn’t a dystopian revolution first, the counseling appointments at the chief’s office alone would take more than a full time job. In the Army it wasn’t the police chief. It would be an MP Captain, or the Provost Marshal (like the police commissioner). It could be the guy’s unit commander. Or even a lessor officer we might reach. Then he became that guy’s “unit problem.” Remember this was a person living on the base and subject to the varied, old, military, base-by-base, rules of gun ownership. Which could also be and could still be, a little crazy despite the 2nd Amendment. How did this happen back then, in a world with a 2nd Amendment? 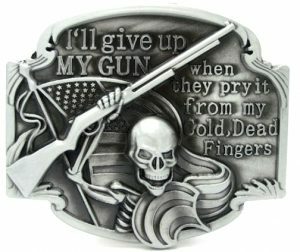 Cold dead fingers? 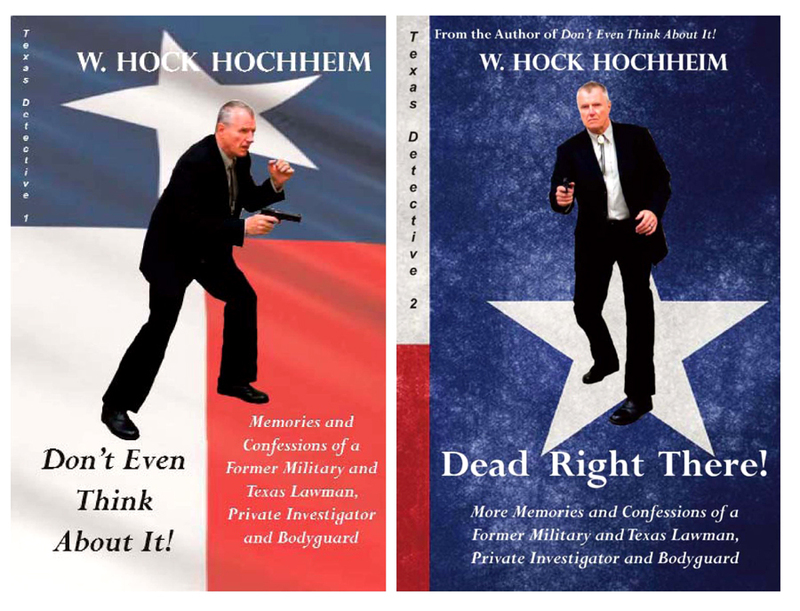 The gun laws were a hodge-podge mess in many states and so too in Texas way back then. In our city and in many cities and counties, if you wanted to “legally” carry a gun, you often just got a letter from the police chief or county sheriff to do so. Yet, another meeting, appointment with the big man. A person, let’s say one with a business who took money to the bank each day, or someone with a crazy uncle or ex-husband, etc, got a letter from the chief or sheriff to carry a gun. So in “backwoods law,” ye old chief/sheriff was considered to be somewhat of a local authority on gun ownership and carry. Best have it with you. I have been shown a number of such letters through the years. Reading them with my flashlight in the middle of the night at some incident or traffic stop. “So, there’s no training or anything with this?” I asked the county, holy-keeper-of -the-gun-book. Too old to train? He’s right. Today, many ignorant liberals think first “no guns,” then “if guns?” a gun owner needs to first pass a Navy SEAL shooting program just to have a bedside pistola. I’m sure Atlanta has other rules. But, time marched on. 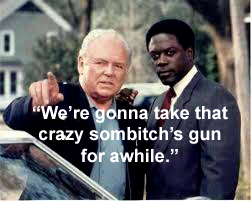 In the mid-1980s, the more “modern” the police chief we got in as time went on, the less this gun-pick-up would happen. Finally it quit altogether, just slowly evolved away. For one reason, I don’t think the modern police chief or elected sheriff wanted such personal involvement with real people’s, ground zero problems. Meanwhile big cities had rules. Smaller ones didn’t. Rural counties didn’t. Everybody seemed to have one gun anyway. 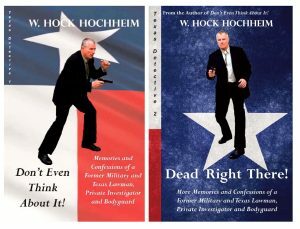 Time marched on and as other states defined their concealed carry laws, Texas did too, a little behind the curve. Much of Texas was and still is rural with boars, rattlers, coyotes, rabid dogs and raccoons, gators down east and a half a dozen other things that need occasional killing. Many Texicans had and still have a shotgun in a rack in the back window of their pick up. This ain’t Berkeley or New York City, nor DC, bubba. Don’t be telling us what to do. You have no idea what happens out on the mesa! In the Piney Woods. Or for that matter, Deep Ellum in Dallas. The laws, the ideas, the political movements change. Today, such gun seizing of yesteryear could become lawsuits and demonstrations and big news coverage. 2nd Amendment horrors. But back then, no one objected to this quiet, casual “policy,” as the general public thought it was a good idea, it wasn’t abused, and therefore, we had the authority to do so. Like I said, this was well before the “dead fingers” lingo and logos of today. I know this idea is freaking people out, but this was not about the police going door-to-door and collecting guns like the Oath-Keepers worry about. This is a very small-scale, situational. Today, when various police chiefs and sheriffs want stronger laws to pre-empt things like school shooters and so forth, I think this sort of the model they are asking for. With the establishment of current carry gun laws, with the implementation of quick arrest policies in domestic disturbances, and other modern protocols, many of the reasons to just seize guns in hot situations are gone. There are now other, more established, legal alternatives/solutions to hot situations. 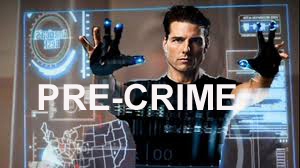 But what about predicting future crime? 12 hours? 24 hours? A school shooting? You’re on the scene and you think something could happen tomorrow, or next week at the church, beauty salon or a school? Texas Texas Gov. Greg Abbott released a 40-point plan for improving school safety in late May, 2018. The plan mentions a potential “red flag” law that would allow judges to temporarily take guns away from people deemed to be dangerous if there is legal due process. Abbott didn’t call for legislators to pass such a law — he instead wants to “encourage” lawmakers to “consider the merits” of adopting it. Texas House Speaker Joe Straus took him up on that late Wednesday and instructed a committee of the lower chamber to study such legal provisions. Study! Study, Studies. Chin-rubbing. Head-scratching. Wind-blowing. Hem-hawing. How is all that going to work exactly? I would be curious to know of other veteran officers around the country had these olden-days policies? I already know some did and still do in Arizona, Illinois, North Caroline, California, Oklahoma and Missouri from friends. Contact me with stories. Did you? Do you still?.